Monster creates premium headphones and portable speakers for enjoying high quality sound wherever you are. Whether you’re a music lover, audiophile or exercise enthusiast, you’ll find the ideal Monster device to play back the music you love. 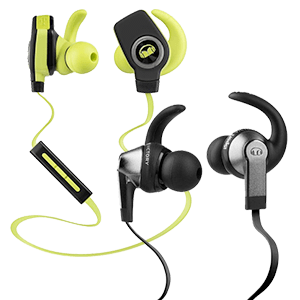 Hit your workout hard and stay motivated with iSport Wired or Wireless headphones. Hear every note and sink into musical bliss with Monster DNA over-ear headphones, or make a style statement with a pair of high-octane N-Tune headphones. For sharing music out loud, the tough, waterproof SuperStar BackFloat Bluetooth speaker can go anywhere. They’re all part of Monster’s high-performance audio range. 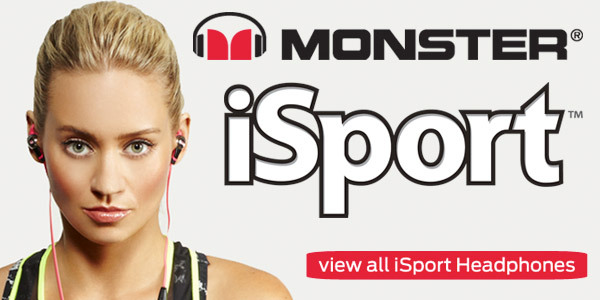 Put on a pair of award-winning Monster iSport headphones and stay motivated by Pure Monster Sound. Available in wired as well as wireless formats, they’ll help your power through your workout. Durable, sweat proof and washable, Monster’s patented Sport Clips mean they won’t fall out during even the toughest training sessions, so you can push yourself harder and longer. With different noise isolation options on each model, you can choose a pair of headphones that still have great sound but keeps you safe when you’re running outdoors, or one with complete isolation so you can stay focused. 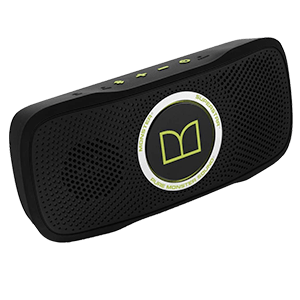 The waterproof SuperStar BackFloat is a Bluetooth speaker that can float - ideal for outdoor listening. With dual full-range drivers and bass radiators, SuperStar BackFloat lets you crank your tunes at high volumes without distortion. Enjoy pure, natural sound with crisp, smooth detail and powerful dynamics, even in the bath or Jacuzzi. Ready for action, the SuperStar Backfloat is totally waterproof and shockproof with its rugged silicone casing. Wear it, hang it or even float it – it can go anywhere from pool parties to camping trips. A built-in mic with exclusive Monster voice technology enables clear, easy hands-free calls from any Bluetooth phone. 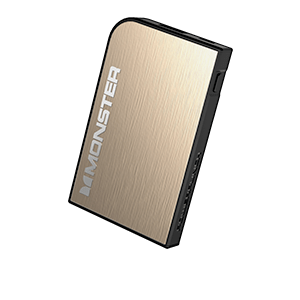 Slip a Monster PowerCard into your wallet if you need to quickly charge your phone or USB device on the spot. For fast emergency charges, the ultra-portable PowerCard is the answer. Monster’s No Waiting Technology powers even demanding devices, with auto sensing to detect the speed your phone or device requires. Recharge any smartphone via USB with up to five hours of power from your PowerCard. It charges up to three times faster than standard USB chargers, with LEDs to show battery level and charging.